William “Bill” Paul Sloane of Eli Whitney, NC passed away on July 7, 2018 while surrounded by family at the SECU Jim & Betsey Bryan UNC Hospice Home in Pittsboro. His smile, sense of humor, compassion, loyalty, and extraordinary love will be cherished always. Bill was born November 10, 1940 in Pittsburgh, Pennsylvania to the late Mildred and Paul Sloane. He grew up in Havertown, PA, earned a Bachelor’s degree in English from Wagner College on Staten Island, NY and a Master’s of Divinity from Lutheran Theological Seminary at Philadelphia. 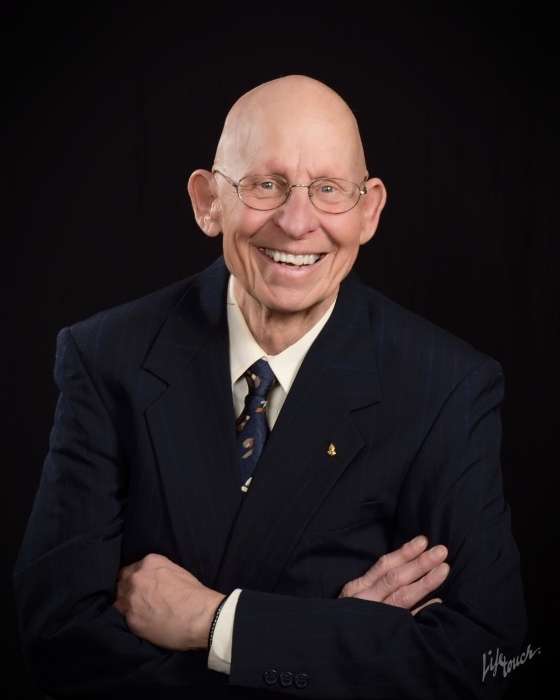 He lived his entire life in service to others; he volunteered with the Peace Corps in Brazil, provided support to students as a school counselor in Covington, VA, and served as a Lutheran minister in Front Royal, VA. As the owner and President of Sloane Investments, Inc., he was committed to providing affordable housing to tenants in NC. He was a devoted son, brother, husband, father, and friend. He was never too busy to help, and was devoted to treating everyone with compassion. His unconditional love and support led so many people to better themselves and the world around them. Everywhere he went, people commented on his heart-warming smile. Bill loved Tasty Bakery’s lemon chess pie, Carrboro Pizza Oven’s cheese pizza, Snickers, ice cream, riding bikes, watching Seinfeld, listening to The Gaithers, dancing, and serving his church. But most of all, he loved his family. He never met a stranger, loved unconditionally, and saw the best in everyone. Bill leaves beautiful, loving memories with his family including his cherished wife of 33 years, Linda “Gail” Sloane; his brother, Jim Sloane of Deland, Florida; his daughter, Zoey Kreuter and husband, Jakub of Cary, NC; his son, Zachary Sloane and wife, Diane of Raleigh, NC; stepdaughters Natasha Davis of Wilmington, NC and Nicole Davis of Atlanta, GA; grandchildren, Gabrielle and Alex Kreuter, and Colton Sloane; and god-daughters, Catherine and Elizabeth Bartholf. He was preceded in death by his father, Paul Sloane; his mother, Mildred Vettle and stepfather, Edward Vettle; and his stepsister Janet Jones. The funeral service will be conducted at 3PM on Monday July 9, 2018 at Brown’s Chapel United Methodist Church, Chicken Bridge Road, by the Rev. Ray Gooch. The church will be open to friends and family one hour before the service and burial will follow in the church cemetery. Following the funeral, the family will receive friends and family in the fellowship hall. One of Bill’s dreams was to create a charitable foundation. In March 2003, he realized his dream by creating the William and Linda Sloane Foundation. The foundation continues to provide financial support to various charitable organizations and allows Bill’s legacy to survive long after his death. In lieu of flowers, you can help us to continue Bill’s service to others by making donations in his name to the William and Linda Sloane Foundation, mailed to the Methodist Foundation at 700 Waterfield Ridge Place, Garner, NC 27529. Donations can also be made to the Duke Family Support Program, which provides free services to persons and caregivers living with Alzheimer’s. This program gave Bill and Gail so much joy, support, and friendship. Donations can be made online at http://www.dukefamilysupport.org/giving-to-our-program/ or by mail at Duke Medicine Development and Alumni Affairs, Attn: Lynda Heaney, Center for Aging Family Support Program, 710 West Main Street, Suite 200, Durham, NC 27701, memo line on checks should include “Duke Family Support Program (#3910194)”. Donaldson Funeral Home & Cremation is honored to serve the Sloane family.